When love starts to fade, before we even face the potential loss of the person we’re with or the relationship we’re in, many of us mourn the loss of something inside us. Falling out of love is like losing a part of ourselves that was once illuminated. It’s one of the most painful processes to endure. Not only are we losing something valuable, we are also caught up in the mystery surrounding that loss. The period in which we realize that our feelings have changed tends to be riddled with confusion. What happened to that excitement and admiration that once made us come alive? According to many experts who’ve studied relationships, this mystery is something worth exploring when we feel ourselves falling out of love. 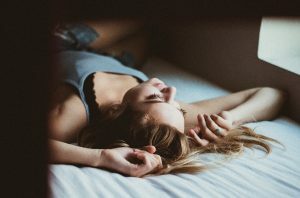 Before diving further into the subject of why we fall out of love and what we can do to make sense of these feelings, it’s important to note that many of the reasons we fall out of love are valid. Of course, when some relationships end, it’s for the best. There are real reasons people find themselves unhappy and wanting to move on. Some people change in real ways that make them grow apart. Others get to know themselves better and realize they were never really in love but in fantasy. No one should ever force themselves to stay in any situation in which they feel miserable and less like themselves. However, when we talk about why so many people experience falling out of love with someone who once lit them up and filled them with joy, we have to question what goes on that creates this shift. Do we fall out of love for the right reasons? Is it possible to stay in love for the long-haul or fall back in love after falling out of it? You may be surprised that the overwhelming answer for many in the scientific community is YES. Real, lasting love is possible. However, it involves some effort, avoidance of certain relationship trappings, and a willingness to overcome some of our own defenses and fears. Why am I falling out of love? What are the signs that I’ve fallen out of love? Is it possible/worthwhile to reconnect with my feelings and fall back in love? Why Are You Falling Out of Love? As I said, one of the most challenging mysteries we encounter in life is where all those feelings go when we fall out of love. There are many reasons relationships change for the worse, but what’s perhaps most valuable to consider is our own struggles surrounding love and intimacy. After conducting a 75-year longitudinal study from Harvard University, researcher George Vaillant and his team concluded that the keys to happiness were 1. Love, and 2. “finding a way of coping with life that does not push love away.” Lasting love is possible, but it isn’t always easy. 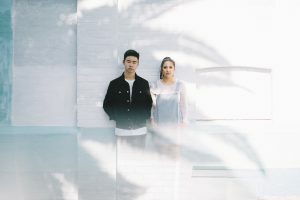 While none of us choose to fall out of love, many of us are unaware of the defenses we’ve formed and adaptations we’ve made that may now limit us in our ability to stay close and connected to our partner. For example, it may be hard to stay connected and trust someone completely when we grew up feeling insecure and neglected. It can be difficult to be vulnerable and consistently kind when we grew up with people who were cold, punishing, or had their own difficulty giving and receiving love. Our unique upbringings and early attachment styles come to influence our defenses and behavior patterns. They can also create insecurities and fears about love. “Interpersonal relationships are the ultimate source of happiness or misery,” wrote Dr. Robert Firestone, author of Fear of Intimacy. “Love has the potential to generate intense pleasure and fulfillment or produce considerable pain and suffering.” When we fall out love, we may, in some ways, be falling into this fear. How can you tell whether you’re really falling out of love or just giving into fear? Love arouses anxiety and makes us feel vulnerable. It brings up sadness and painful feelings from the past (i.e. a love we didn’t feel as children). Love often provokes a painful identity crisis, as we’re seen in a new, more positive light. It disconnects people from a “fantasy bond” with their parents or early caretakers. It arouses guilt in relation to surpassing a parent or caretaker. Love stirs up painful existential issues and fears around loss. Are You Falling Out of Love or Falling Out of Fantasy? Many of us aren’t consciously aware of the ways they may be afraid of love. We may see the real problem in the relationship as being the ways it’s changed. We may list all the issues our partner has, the way he no longer looks at us or she no longer treats us. Or, we may notice our own behavior changing, and chalk that up to no longer feeling the same way toward our partner. However, the real question to ask is why did these dynamics shift in the first place? The answer to that often has to do with fear and fantasy. A fantasy bond is created when a couple replaces the substance of real relating with the form of being a couple. They start to overstep each other’s boundaries, relating as a “we” instead of a “you” and “me.” They fall into routine and start to do things out of habit or expectation as opposed to real passion or interest. They may try to control each other, showing less respect for each other’s autonomy and independence. This type of relating naturally diminishes attraction, and there is usually less physical and personal relating. Ultimately, engaging in these patterns can drive a couple further and further not only from each other, but from themselves and their loving feelings. When we consider why we’re falling out of love, it’s helpful to look at how much we may have fallen into a fantasy bond with our partner. Criticism: Are you blaming or attacking your partner? Defensiveness: Are you closed off to feedback from your partner? Contempt: Are you rolling your eyes, mocking or pushing your partner away? Stonewalling: Are you shut down in your interactions with your partner? Is your underlying tone and body language standoffish or withdrawn? When we first fall in love, we tend treat our parter with a level of respect and kindness that connects to our own loving feelings. But love isn’t just a feeling that comes and goes; it comes from this way of treating each other. We should always try to think of love as a verb. It requires real action to exist and thrive. When we engage in destructive behaviors, we do ourselves and our partner a disservice by limiting expressions/feelings of affection. We all act in ways we don’t like from time to time, but it’s always beneficial to consider if any of the four horsemen have marched their way into any part of our relationship. It’s also helpful to consider the following questions set forth by Dr. Lisa Firestone to help evaluate the situation and determine whether the relationship itself is not working. Is my relationship negatively affecting other areas of my life? Do I feel upset and fragmented a lot of the time? Am I too distracted by my relationship to function in healthy ways? Do I rarely feel like myself anymore? Am I anxious or desperate toward my relationship partner? Do I feel like there is something wrong with me that I am frantic to fix? Has my relationship impacted or hurt my friendships? Do I feel chronically ashamed of myself? Do I feel down or hopeless about my life most of the time? If any relationship is causing us this type of distress, we may very well decide it isn’t right for us. We can end the relationship or seek counseling that may help us make sense of what’s going on. Can You Stop Yourself from Falling Out of Love? Every relationship will face challenges, because no person is perfect. If we’ve fallen into some destructive patterns or our relationship has some characteristics of a fantasy bond, we shouldn’t despair. These problems exist along a continuum. It’s truly possible to take a turn toward getting back the love you once shared with another person. The short answer to the question of whether we can stop ourselves from falling out of love is yes. Staying in love is possible, but like most good things in life, it usually takes some effort. This brings us back to the idea that love is a verb. Connecting to our own loving feelings often involves taking action. Erich Fromm once wrote, “There is only one proof for the presence of love: the depth of the relationship, and the aliveness and strength in each person concerned; this is the fruit by which love is recognized.” It’s also Fromm who famously said that love, “isn’t a feeling, it is a practice.” Before we decide we’ve fallen out of love, we may want to think about all the actions we can take to check in with our own loving feelings. Can we commit to coming fully alive in ourselves before calling time of death on our relationship? “Love involves behaviors. It is a skill,” said Dr. Lisa Firestone. “When we choose each day to treat another person with gentleness, affection, kindness, and respect, we cultivate and grow our own ability to love.” After years of researching relationships, Drs. 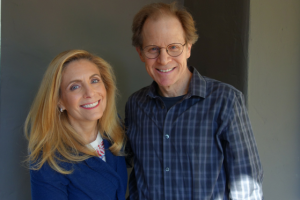 Robert and Lisa Firestone developed the Couples Interactions Chart to distinguish characteristics of an ideal, loving, romantic relationship and a fantasy bond. 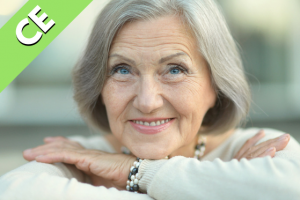 They found these qualities were most important to maintaining lasting love. Non-defensiveness and openness Vs getting angry and closed off. This is the opposite of stonewalling. We have to welcome feedback. Open communication with our partner allows us to really know each other and address issues that hurt the relationship. Honesty Vs deception. We have to be able to trust each other to feel completely vulnerable. Respect for independence Vs overstepping boundaries. Dr. Lisa Firestone says in a relationship, we should try to expend each other’s worlds, not shrink them. That means supporting each other’s interests and independence. Allow each other to express ourselves fully as who we are. Physical affection and personal sexuality Vs lack of affection and routine sexuality. In a recent survey published in the Journal of Social Psychological and Personality Science, nearly half of the participants reported being “very intensely in love” after years of being together. The top reason given for maintaining these feelings long-term was the presence of physically affectionate behaviors like hugging and kissing. This is consistent with Dr. Acevedo’s research emphasizing the importance of a physical connection in lasting romantic love. Understanding Vs misunderstanding. In order to love someone, we have to see them for who they are. We should try to understand what they’re experiencing. Manipulations of dominance Vs Non-controlling behaviors. We have to strive for an equal and respectful relationship. Neither person should try to control the other or deny each other opportunities to be themselves. Before we decide to give up on love or relationships, it’s valuable to reflect on the defenses we bring to the table and the dynamics that may be limiting our capacity to love. This is a process that can alter the course of our lives. We must know ourselves in order to truly fall in love with someone else. Only when we realize who we are can we fully know what we want. We can use the experience of falling in or out of love as an opportunity to know ourselves better, to understand our tendencies, our fears, and our patterns. We can recognize the behaviors we fall into that may create distance in our relationships. And, we can meet the challenge of changing these behaviors with self-compassion. Whatever lessons we learn, we can carry into any relationship. So when it’s the right one, we’ll have the tools to fight for the love we want for the long-haul. I really like it that “love is a verb. It requires real action to exist and thrive”, and “love isn’t a feeling, it is a practice”.